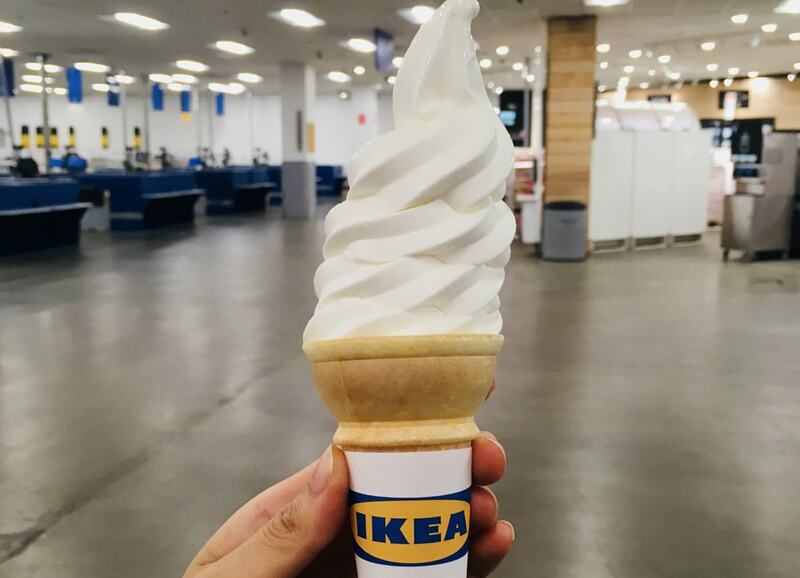 Swedish furniture giant Ikea has announced it will be adding vegan soft serve ice-cream to its bistro menu. Taking to Instagram to share the news, it revealed that the frozen treat should be on offer by Summer 2019. The brand shared a picture of ice-cream, captioning it: "100 percent plant-based, 100 percent delicious. Today we are sharing our ambitions to introduce plant-based ice cream to the IKEA Bistro." The store's chefs are already working on the product, according to the post which said: "The development has started and we aim to bring this alternative to dairy-based soft ice to IKEA Bistros in Summer 2019." Ikea has already committed itself to serving more vegan options in it cafe, trialling a vegan option which is available in some European locations , and set to launch in the US next year. Speaking about the menu developments, Michael La Cour, Managing Director at Ikea Food, said: "Every year, 660 million people enjoy the Ikea Food offer, and we see this global reach as an opportunity as well as a responsibility to serve food that is good for people and the planet. "With the new veggie hot dog, we can inspire and enable customers to choose a plant-based, more sustainable option at an affordable price."